Prime Minister Trudeau’s upcoming first budget reportedly contains a deficit in excess of $30 billion. 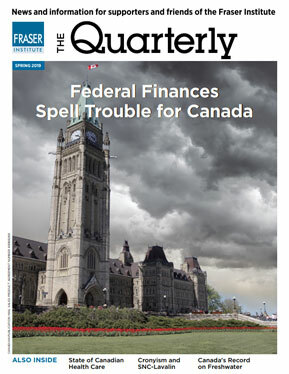 All expectations for next week's federal budget are that it will look much like the March version -one that included a substantial $30-billion deficit this year (2011-12) and no credible plan to return to a balanced budget. Canadians deserve more. The newly minted Conservative majority should seize the opportunity to put forth a truly conservative plan to balance the budget -one that puts federal departmental spending on the chopping block.